If you don't have an outdoor garden or balcony, but do have a sunroom or small nook near a window, colour it up with some bright outdoor furniture, install a wall garden, then open the windows and dream away in your own private leafy urban retreat. 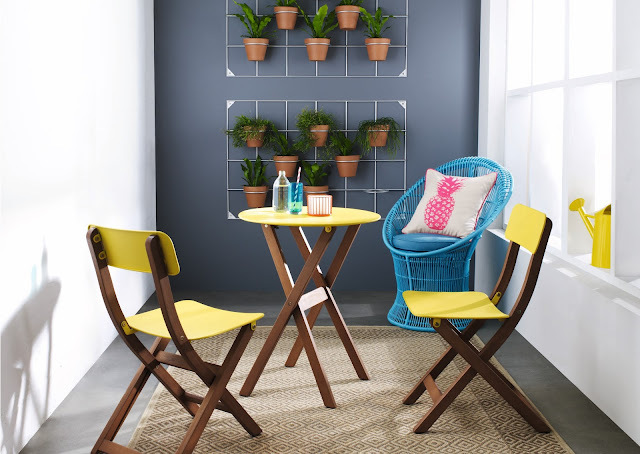 Made from steel and powder-coated in white enamel, the Market vertical pot holder from Freedom Furniture will turn a dull little sunroom into an instant tropical oasis. Just add pots and plants!